Despite the centrality of reproductive isolation in Evolutionary Biology, our knowledge of its underlying causes and of its consequences remains incomplete. 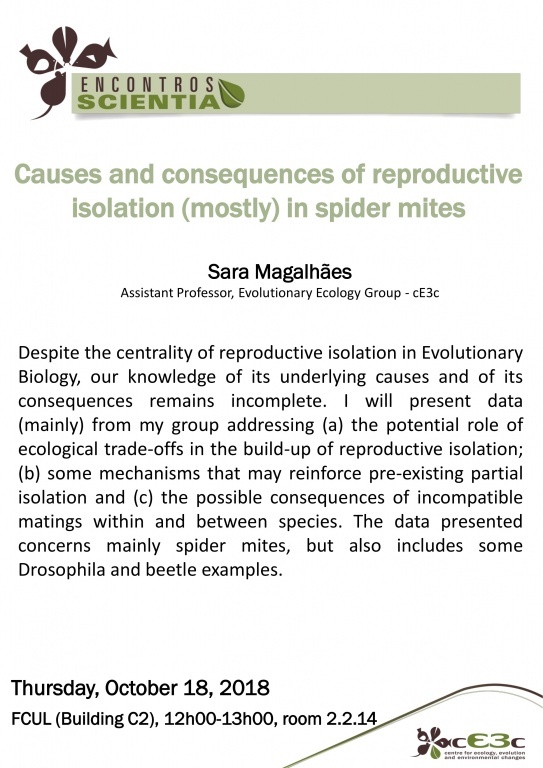 I will present data (mainly) from my group addressing (a) the potential role of ecological trade-offs in the build-up of reproductive isolation; (b) some mechanisms that may reinforce pre-existing partial isolation and (c) the possible consequences of incompatible matings within and between species. The data presented concerns mainly spider mites, but also includes some Drosophila and beetle examples.